The Maryland Department of Natural Resources (DNR) has been approved to invest more than $3 million in oyster recovery and restoration activities in Chesapeake Bay and its tributaries, following unanimous support from the Board of Public Works. 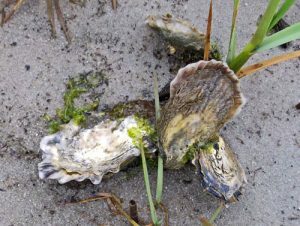 The board, consisting of Governor Larry Hogan, Comptroller Peter Franchot, and Treasurer Nancy Kopp, approved three contracts to the Oyster Recovery Partnership (ORP) aimed at collecting oyster shell, constructing oyster reefs, and planting hatchery-reared oysters. One contract will construct and restore oyster reefs in direct support of the 2014 Chesapeake Bay Watershed Agreement that calls on Maryland to restore native oyster habitat and populations in five tributaries by 2025. In Maryland, these large-scale restoration projects are focused in Harris Creek (completed) as well as the Little Choptank, Manokin, Tred Avon, and Upper St. Mary’s rivers. Another contract will fund construction and restoration of oyster reefs in support of the department’s new initiative to enhance oyster restoration efforts in other state sanctuaries beyond the five large-scale projects, namely the Nanticoke and Severn rivers. Approximately 70 million oysters will be planted in the Nanticoke Sanctuary as part of this contract. An additional contract will aid the Marylanders Grow Oysters program to construct and restore oyster reefs in sanctuaries. A minimum of six million hatchery oysters will be produced and delivered to participating waterfront residents throughout Maryland in support of this community-driven oyster recovery and restoration effort.